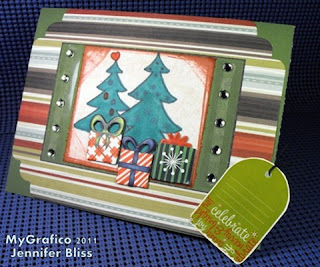 Christmas Accessory Stamps by Dilek Design Studio was this week's featured set for the myG DT Members to work with and I have been having a check of a time with blogger lately so I am posting this late! So sorry! The LO of this card is quite different that my 'default' look(s) I guess and that's cool because I have been wanting to break the chain, ya know!? This is such a lovely design. 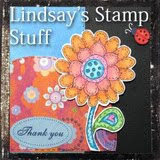 When things settle down in our home, I'll have to post some cards along with some of my crochet projects.